We are proud to present the 2017 X-Wing The Miniatures Game Store Championship! On Saturday, July 29th come and compete to win these enticing prizes and fight for freedom in the galaxy! 8 players will be needed to ensure kit payout. Note: The alternate art cards in this kit are produced via FFG's In-House Manufacturing and may appear slightly different in color and texture from the game's other cards. Top 32 – An alternate art version of the upgrade card Engine Upgrade. 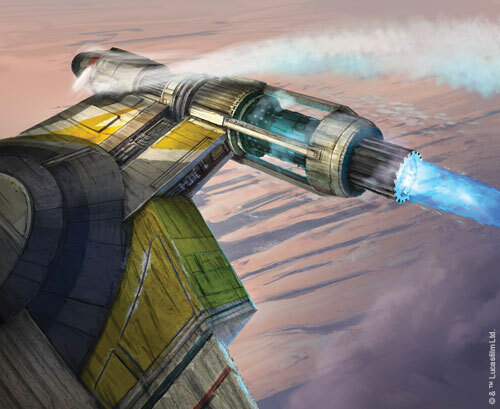 Positioning is key to success in X-Wing, and having the ability to boost into new places is an extremely powerful option. Top 8 – An acrylic full-length range ruler. Every player needs one of these in their kit, and eight skilled pilots will leave with one in their possession! Top 4 – A range 1 and a range 1-2 ruler. Complementing the one players receive for a Top 8 finish, these short rulers are extremely useful during the setup stage of the game, as well as in the tight quarters of space battle. Top 2 – A printed acrylic Agent Kallus token. At the beginning of the game, Agent Kallus selects his target and will doggedly pursue them. This token is a flashy way to designate his quarry! Star Wars™ 40th Anniversary Bonus! 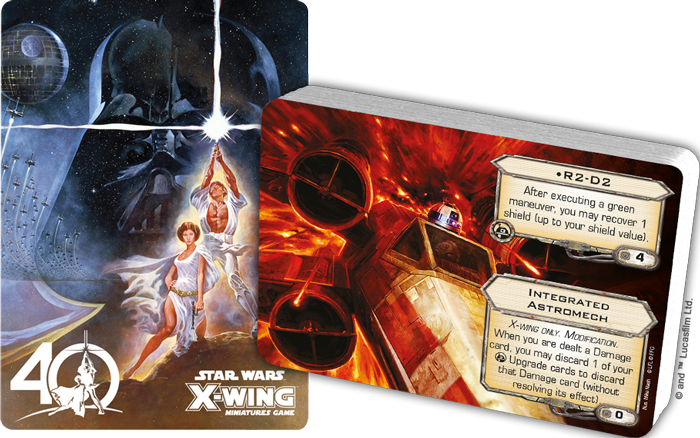 Celebrate the 40th anniversary of Star Wars and the five-year anniversary of X-Wing with a fun event and leave with a one-of-a-kind prize!